DENTIDESK solves both administrative and financial management of your dental clinic, where the correct follow up of patients’ dental treatments are the backbone of the system, which improves dental assistance in administrative terms providing comfort for both dentist and patient. All users save on time by accessing information stored in one place, anytime and anywhere. Some of DENTIDESK’s main features are: Schedule: which allows appointment scheduling with just one click. Online scheduling: which allows each clinic to have a button (widget) that can be added to either a website or Facebook, so that your patients are able to schedule appointments online and also choose the dentist that best suits their preferences. Patient record: which allows the entry of both personal and clinical information of the patient. DENTIDESK’s appointment schedule feature (click to enlarge image). 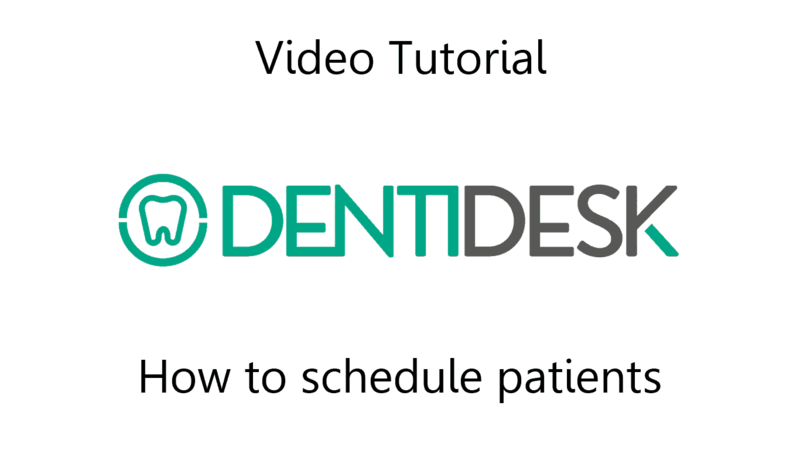 Learn how to get the most out of DENTIDESK, watch our Video Tutorials! Click on the image to play video tutorial. Want to see and learn more? Subscribe to our YouTube Channel and watch all of our Video tutorials that will make easier both your life and dental practice.